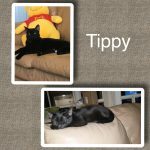 Tippy whose owner came to us awhile ago. She was Spayed by Fixed Fur Life and waited quite sometime for a home. She was finally adopted. Shown here in her new home settling in nicely! 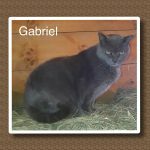 Gabriel is a senior declawed boy whose owner could no longer care for. At that point he was taken to a barn. We were eventually contacted and asked to find him a home out of the barn environment. Once with us Gabriel began to decline after a few weeks. Turns out he is a Diabetic. Medical intervention followed as he went into a crisis state. After treatment he stabilized and we are happy to report he has now been adopted! 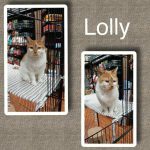 Miss Lolly was adopted in 2010 from a shelter. We picked her up up as a stray this past July. She had a microchip and we were able to track her owner who stated he no longer wanted her. 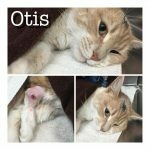 Since she has been with us she has had a full geriatric blood work up ( all normal), feline testing for FIV/ leukaemia (negative), vaccinations and dental work. She is extremely sweet! Will run to you when you call her name. 💕 ‘s to cuddle. She has now been ADOPTED! 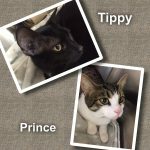 Prince and Tippy's owner could no longer care for. Spayed and Neutered by Fixed Fur Life. Both have now been adopted. This is why we keep bonded pairs together. 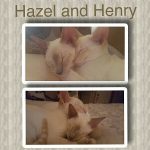 Hazel and Henry are six months old. Shown here living happily post adoption. This Beautiful sweet girl came to us suffering from an injury to her back leg. Puncture wounds and a massive infection into the bone. She was in an extreme amount of pain. After extensive care with antibiotics and pain medications she healed, was Spayed and has gone onto her new home. 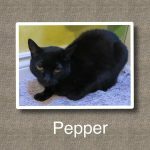 Hi my name is Pepper. I am 17 years young. My owners no longer wanted me. I was vet checked and deemed to be healthy for my age. I have now been adopted by a very nice lady who will spoil me rotten in my golden years. Love the Happy updates! Goose and Maverick who came to us as wee babies now full grown and happy. Adopted together this past year. 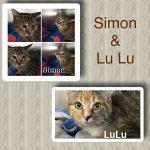 Simon and Lu Lu came to us separately. Simon appeared to have suffered an injury to the left side of his face and head. LuLu was a little shy stray. It was love at first sight and after both had been assessed they were placed together. They loved each other immediately and as such we decided they must be adopted together. They are now adopted and together. 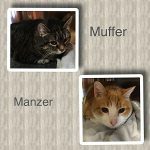 Muffer and Manzer are two 13 year old bonded brothers that were adopted from Fixed a Fur Life as kittens. Their owner recently passed away. They have now been adopted together and will live out their golden years together. 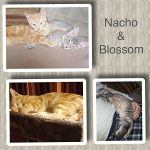 Nacho and Blossom were adopted from Fixed Fur Life as wee kittens. 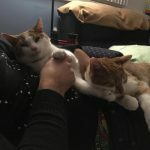 Shown here how content they are together in their Happy adoptive home. 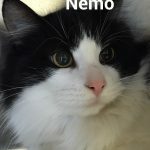 Nemo came to fixed Fur Life with his 3 siblings who had been fending for themselves outdoors. He was neutered and has been adopted! 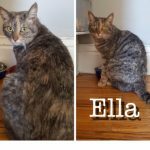 Ella was rescued from an outdoor cold existence. She was Spayed and has now been adopted and is living happily indoors. 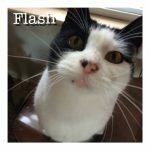 Flash was rescued from the cold outdoor life. She was Spayed and has now been adopted! 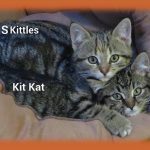 Kit Kat and Skittles were rescued from the Farmers market where someone was trying to give them away. They were spayed and adopted by Fixed Fur Life. 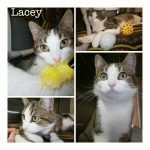 Lacey was another little one we rescued from the cold. She was a little shy on Admission but quickly turned into a cuddle bug! She was Spayed and has now been adopted! 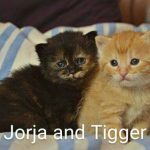 Jorga and Tiggers mom Sweet Pea was an outdoor stray. Shortly after being rescued she delivered 7 babies. They have now all been adopted! Marleau’s owner could no longer care for. His mother rejected him and his siblings as wee babies. 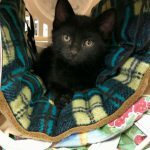 He and his siblings have all been adopted! 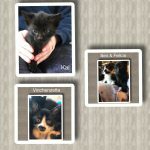 Kai,Ben, Felicia and Vinchenzetta’s mother rejected them as wee babies.They came to FFL for bottle feeding. Weaned and now have been adopted in pairs! Arianna,Gadget,Sherman and Sadie’s mom Sweet Pea was an outdoor stray. Shortly after being rescued she delivered 7 babies. 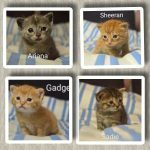 These four have now all been adopted!